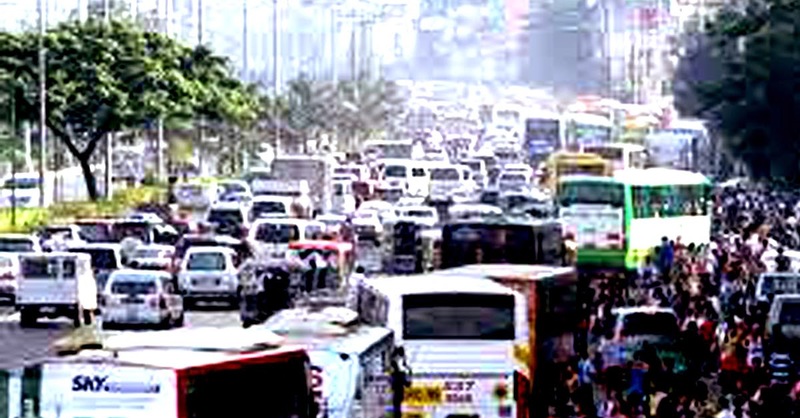 The SLEX accident last Monday involving a Southern Carrier bus once again highlighted the pitiable state of public transportation in this country. This is one industry that has long been crying for regulation not only in terms of fare pricing but, more importantly, in terms of quality and customer service. The industry is totally market-driven; and the market, sad to say, is a tolerant one partly because of the absence of options but also partly because many do not really care beyond getting from Point A to Point B. In other words, passengers will hop onto a bus, its rickety condition notwithstanding, because they need to get somewhere; and options are, especially during rush hours, rather limited. One would think that a government that thinks of its citizens as its assets would try to ensure that these assets are not placed in jeopardy. Take that accident yesterday. One does not have to be a Mechanical Engineer to know that for two wheels to come off from a bus while it is rolling along a highway, there is a maintenance issue within the bus company. Have audits become so totally out of fashion in the industry? Contrast these to the rusty and rickety buses plying the Batangas City-Tanauan City route that pass in front of my house everyday and you just feel like ripping all of your hairs out. Why are these rolling coffins even allowed on the road? The safety and maintenance issues surrounding bus companies are already well-documented. Indeed, we have in recent months seen buses skydive from off elevated highways or treacherous mountain roads. We have all seen the gory footages on the evening news. What I wish to highlight more in this article, instead, is the often blatant disregard for customer comfort. To be fair, this is a generalisation; and, indeed, there are companies that offer marginally better services than others. Needless to say, this makes the service discrepancies even more galling because fare prices are regulated. In other words, you pay the same price for the cramped space you are accorded by one bus line as the one with more leg room in another line – assuming that you travel the same route. In fact, prices are dictated by airconditioning or the lack of it, not the amount of space you get or the quality of service. What the industry badly needs is standardisation and an audit system so that some companies do not get away with murder just to earn more bucks. Anyone who has taken a Victory Liner bus to Baguio knows that the buses have more leg room; and this makes the five- to six-hour journey to and from the mountain city bearable. Then you get onto a Batangas City-bound bus for the ride back home to Lipa and find yourself seated on a five-across row of seats with your knees held close together because of the cramped space and your testicles starting to asphyxiate. Moreover, the rows of seats have been laid so close to each other so that your knees touch the back of the seat in front of you. Whatever space you can call your own is, of course, violated whenever the passengers closer to the window have to get off. It is then that you find your feet stepped on, your knees knocked onto each other and the offender’s bulky bag slamming into your face. Frankly, the few times that I travelled to and from Baguio by bus, I found the trips to and from Lipa more tiring than the longer trips to and from Baguio – because of the buses! The common thinking, of course, is that the Baguio-bound buses offer more leg space because they go on longer trips. Fare is calculated on a per kilometre basis. Does this thinking suggest that comfort is a prerogative only of those who have farther destinations? The prices being paid per kilometre, of course, are more or less the same. To be fair, there are buses plying the Lipa-Manila route that are almost as roomy as the Victory Liner buses. In fact, even within the same companies, there are buses that have five across rows and buses that have the more comfortable four-across. This brings us back to regulating the customer service aspect of the industry. Why are specifications not dictated for bus companies to adhere to? If I pay x amount of money for the same distance, am I not entitled to expect the same quality of service? So why are the five-across buses not retired or reconfigured? Will you pay the same price for an inferior product? Unfortunately, as far as bus travel is concerned, there is no choice but to do so because pricing is dictated by physical distance in relation to oil prices. Passenger comfort and safety are not even considerations. I used to be so impressed by this bus company that has asked its drivers and conductors to start wearing uniform polo shirts and ties. That is, until I got onto one of its buses after having stepped off a Victory Liner bus from Baguio and found the bus cramped and the seats not only smelling of sweat but also with upholstery torn in places. So I realised that the shirts and ties were just to paper over the cracks. At the end of the day, customer service is more about customer comfort than the conductor’s tie; although the costume, arguably, is a step towards professionalizing the industry. By the way, I went to Nasugbu the other Monday and the BSC buses I took to and from the municipality – plying the Batangas City-Nasugbu route – were almost tourist class. Four across rows of seats which were elegantly padded, plenty of leg room, efficient airconditioning systems and the interiors of the two buses smelled pleasantly. This brings us back to the point of this article. How can some bus companies offer better service and comfort when pricing is the same and passenger volume and distribution among bus lines, we all assume, is constant because of the absence of options?